Sonic Robo Blast 2 is a 3D Sonic the Hedgehog fangame. Sonic Robo Blast 2 is a 3D Sonic the Hedgehog fangame which features tons of levels, enemies, speed, and a lot of the fun that the original Sonic games provided. Download free game today and play Sonic Robo Blast 2 now! 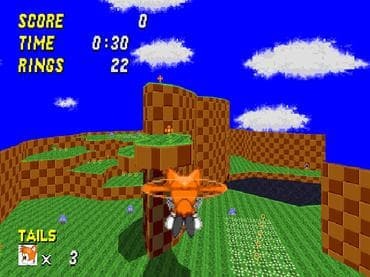 Free Game features: - Beautiful 3D Enviroment, with free movement in all directions; - Three playable characters - Sonic, Tails, Knuckles — each with their own unique abilities; - Over 30 levels to play, featuring a variety of locations, from green meadows, to deep underwater ruins, mines, mountains and space stations; - 9 multiplayer game modes; - Original Soundtrack; - Level design tools that allow easy creation of your own custom characters, levels, textures, music, and anything else you can think of; - Fast-paced multiplayer fun with support of up to 32 players online. Если у Вас есть вопросы, связанные с игрой Sonic 3D Robo Blast пожалуйста используйте эту форму для связи с нами.